Welcome to our Confidence Power Plus Review, where we present our research on the pros and cons of this product for prospective buyers. The Confidence Power Plus Motorised Treadmill is one of the most popular treadmills right now. It is designed as an entry level treadmill; perfect for users who are looking to get in shape and not spend a fortune doing so. The Confidence Power Plus Motorised Treadmill is well regarded for being easy to use, setup and store. 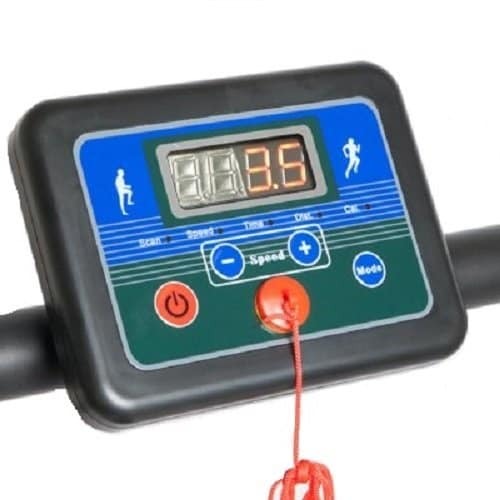 It features an ergonomic user interface that provides data on distance, time, calories burned, and speed.This information is vital to getting the best out of each workout, helping you achieve your goals. The Confidence Power Plus features a fold-able design which makes it very convenient to store when not in use. 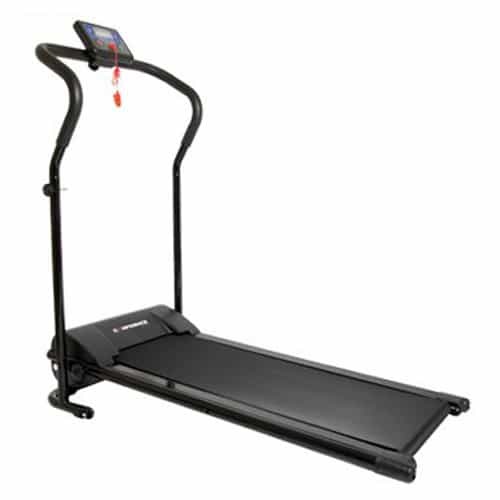 Feedback on this treadmill is very good overall with the majority of customers pleased with how quiet the treadmill runs and how easy it was to assemble. As you can see in the video below the Confidence Power Plus folds away to such a convenient size compared to larger treadmills. This feature is highly valued by customers who are short on space, making workouts at home easier. Speed ranges between 1km/h to 10km/h, with increments of 1km/h – great for new users and experienced users who walk to walk or jog. We were particularly pleased with the overall quality of the product along with the low price. The Confidence Power Plus provides gave them a far superior workout to the non-motorised treadmills that are similar in price. We hope you have found our Confidence Power Plus Review useful. If you are interested in purchasing the Confidence Power Plus it is available from amazon new or used.